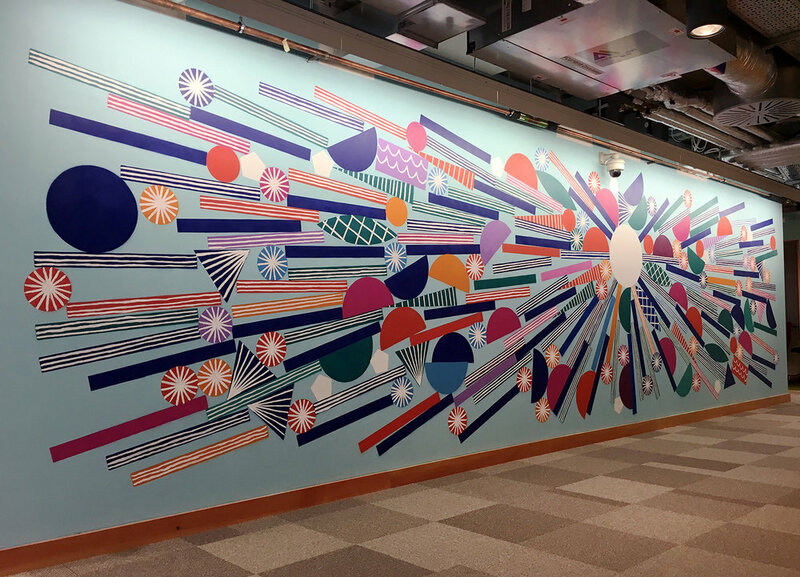 This was a mural created (with the help of The Mural Artists) for Facebook’s London campus through their artist-in-residence programme. I decided to communicate the attractive quality of a powerful Facebook post through loosely visualising data from a very long post on my Facebook timeline in order to create the resulting design. The original post is represented as a white circle, and a year’s worth of likes, comments, photos, videos, and more are represented by all of the surrounding shapes, coloured according to the person posting the content.